This report discussed the microstructural features of fcc Ti-13Ta-6Sn alloy synthesized using mechanical ball milling at 100 hours. The X-ray diffraction profile analysis was discussed using Rietveld, modified Williamson-Hall and Warren-Averbach methods. Two important conditions, high plastic deformation and nanocrystalline size range to satisfy the stable face-centered cubic (fcc) phase were achieved. The X-ray diffraction profile analysis and TEM images proved that the crystallite size and dislocation density of 6.6 nm and 1016 m−2, respectively. Manuscript submitted January 16, 2018. 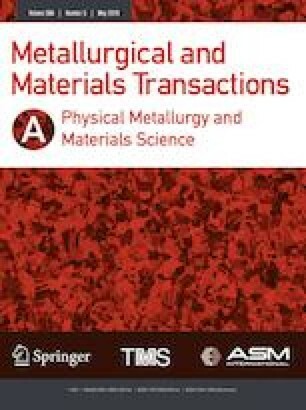 The authors would like to acknowledge financial support from FONDECYT n° 1161444 and FONDEQUIP/EQM n° 140095.